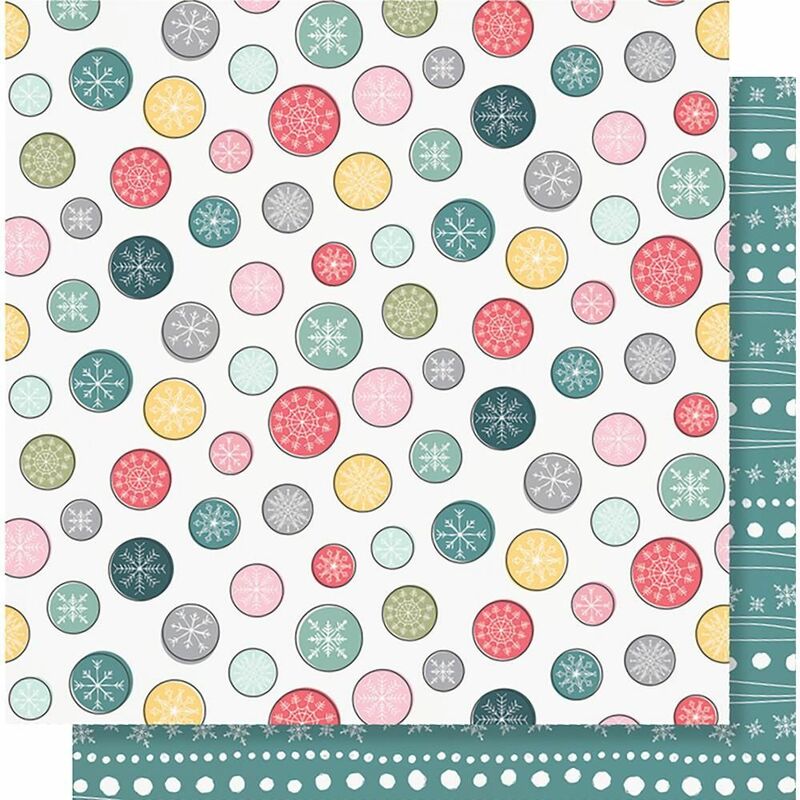 This 12x12 double sided paper has Large Dots with Snowflakes in the center on the frontside. The reverse side has Snowflakes with Lines & Dots. Part of the Freezin' Season Collection by Simple Stories. Look for coordination Designer Papers, selected Embellishments and the Freezin' Season Collectors Essential Kit.